THE NATIONAL SKI CENTER OF VASSILITSA!! The National Ski Center of Vassilitsa is consisted of two parts: the top and bottom. The top is the oldest one, with four lifts, a baby and various other facilities. The lower one, which operated for first time in 1994, has the longest slopes and brand new lifts. The unchanged through the time nature of Pindos in conjunction with the creatures who lived there, as the mammoth discovered in the district, inspired the trade of N.S.C. of Vassilitsa, “a skier on the mammoth tusks”. 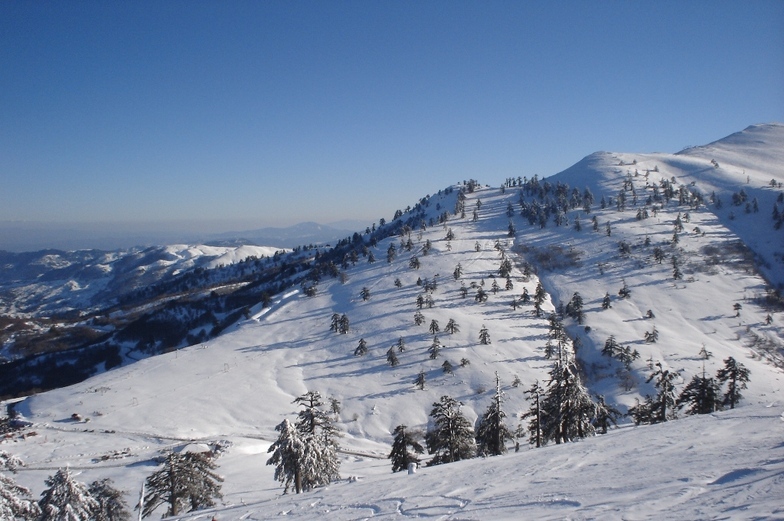 The natural beauty of Pindos urged in 1975 a group of romantic people, to create the Ski Alpine Club of Grevena to implement an utopia: Ski Center in Vassilitsa. They finally managed it by pressing the state to finance the first sliding lift at the Vasilitsa – Gomara plateau, 1060 m in length, at an altitude of 1788 – 2060 m. This lift carries 800 skiers per hour and operates until our days. Its installation and construction is a pattern, because the slope has only a little of intervention and the quantity and quality of snow is excellent. 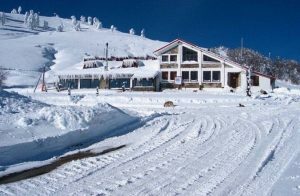 The next year the idea of Grevena prefecture tourism development, with focal point the Vasilitsa ski center, is expanding, with more fans speak flattering for Vassilitsa’s abilities to utilize, ignoring the inconvenience in access. The efforts of the Prefectural Administration of Grevena were continued. 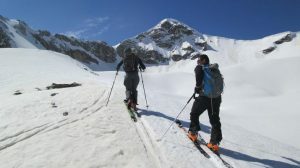 In 1998 the research for the environmental conditions of the Ski Center was approved and 460,238 acres granted by the Ministry of Agriculture to the General Secretariat of Sports, an achievement that solves the problems of country planning and projects elaboration for construction of necessary infrastructure as for buildings too, relying on the protection of this amazing environment, avoiding the arbitrary and uncontrolled construction. In 2000, incorporating in the 2nd Community Support Framework, constructed by the Prefectural Administration of Grevena two more sliding lifts and one for beginners to Baldouma site. Those lifts are, the first named Migdanis, 800 m in length, at an altitude of 1810 – 2034 m and the second named Tymfea, 980 m in length, at an altitude of 1774 – 2040 m, providing new perspectives to the ski resort, by increasing its capacity and classifying it among the most popular in Northern Greece. All lifts serve slopes, of various difficulties and slip, of 22km total length, which haven’t been under outside interference, have retained their natural beauty and consist the major advantage of Vassilitsa. The N.S.C. of Vassilitsa in our days operates with full authorization of electromechanical and buildings, and that fact make it the first in Greece, with approval of environmental conditions and operating license. 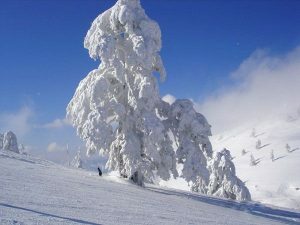 Transfer Thessaloniki is the best way to discover this beautiful ski center! We are here to transfer you from Thessaloniki Airport to Vassilitsa. Your transfer, is our pleasure!